Catching Up with Betty Cooper! I was excited to see that my old classmate Betty Cooper (Riverdale High, Class of ::cough cough:: Never you mind!) has hit the big time, so to speak. 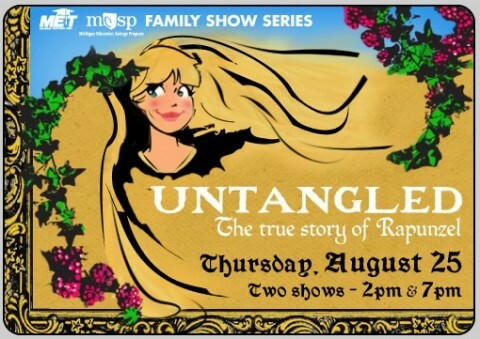 She’s appearing this Thursday in “Untangled,” a knockoff of Disney’s “Tangled,” itself a knockoff of the Brothers Grimm fairy tail “Rapunzel,” itself a knockoff of another fast-breaking Sesame Street Newsflash. Where was I? Oh yes, Betty! Anyway, she’s got the lead role, and they even feature her on the ads for the play. Anyway, the old gang’s getting together for this one – me and Reggie and Archie and Veronica and Midge and Moose and Dilton and his partner and Chuck and Nancy and those two hispanic characters that no one cares about and seem to come and go every few years and Big Ethel and Cheryl Blossom and all the rest, sure. I think we all kind of need a night to relax after losing Jughead. Posted by Ted on August 23, 2011, 9:00 AM.